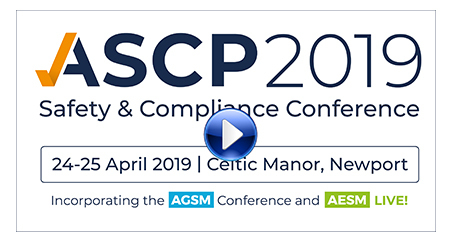 Formerly the AGSM National Conference, the ASCP Safety & Compliance Conference & Exhibition (incorporating the AGSM National Conference, AESM LIVE! and National Awards) will be taking place at the prestigious Celtic Manor Hotel, Newport on 24th-25th April. Join our well-established conference, where you’ll hear from over 30 expert speakers on a range of safety and compliance topics including gas, electric, fire, legionella and asbestos, plus there will be useful regulatory updates, plenty of leadership inspiration and of course best practice sharing. Alongside the conference, a large exhibition hall will host a wide range of exhibitors, showcasing the latest products and services to the sector, allowing delegates to update themselves on the latest innovations – all under one roof. We’d love to see you at the UK’s only event dedicated to informing and supporting the role of safety and compliance professionals within the social housing and facilities management sectors. Register your interest to be kept up to date with speakers as they are announced or take advantage of our earlybird booking discount and book today! Don’t forget our national awards evening, celebrating the successes of our sector! Held on the evening of the 24th April, the ASCP Safety & Compliance Awards have become a highlight in the industry calendar. This spectacular black tie event will once again welcome over 500 guests and finalists to an evening of networking and celebrating, accompanied by an excellent three-course meal and top-class comedic entertainment! Updated for 2019, we now have 14 categories to nominate in – some of our best loved, alongside new ones that reflect the changing sector, and reward those outstanding individuals and organisations who go the extra mile. Earlybird tickets are available for a short time only, and nominations close on 16th January 2019, so don’t miss the boat – Book your place or submit a nomination now!